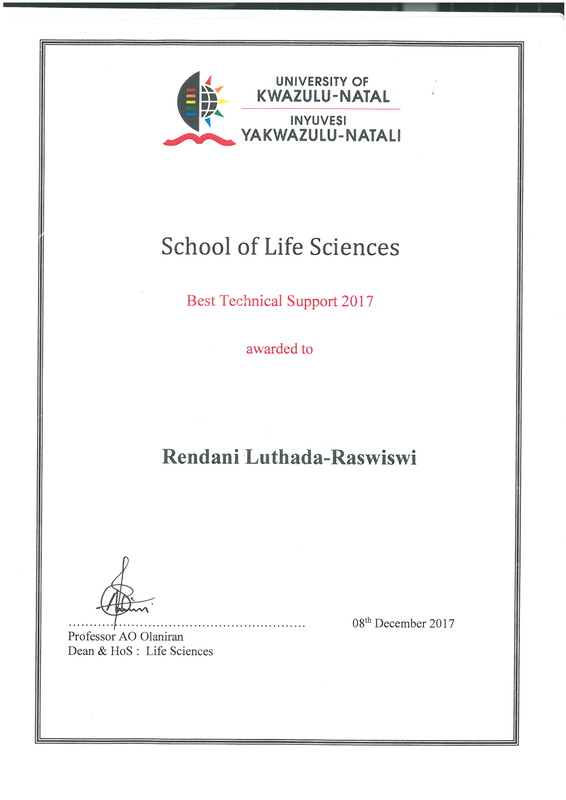 Congrats to Rendani : School of Life Sciences Best Technical Support 2017 ! Rendani has been nominated SLS BEST TECHNICAL SUPPORT for 2017 ! Congratulations !